The walls of the vast room which were streaming with calid moisture, were built with gray slabs of stone and were the personal concern of a company of eighteen men known as the 'Grey Scrubbers'.... On every day of the year from three hours before daybreak until about eleven o'clock, when the scaffolding and ladders became a hindrance to the cooks, the Grey Scrubbers fulfilled their hereditary calling. Mervyn Peake (1911-1968) was a playwright, painter, poet, illustrator, short story writer, and designer of theatrical costumes, as well as a novelist. 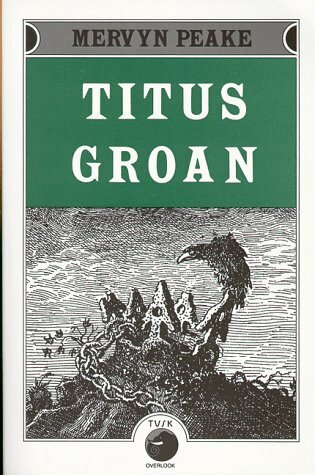 Among his many books are the celebrated Gormenghast novels, Titus Groan, Gormenghast, and Titus Alone, and the posthumously published Titus Awakes, the lost book of Gormenghast finished by Peake's wife Maeve Gilmore after his death. The Gormenghast novels, as well as Peake's other writings Mr. Pye and Peake's Progress, are all available from The Overlook Press.